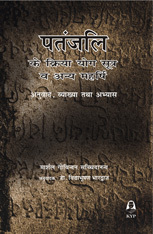 This book provides a comparison between the original and most authentic teachings of Jesus, as exemplified in his parables and paradoxical sayings, and as determined by modern, critical historical research, with the remarkably similar teachings of the Yoga Siddhas. Who was Jesus? One of the most influential human beings of all times? The founder of Christianity? A messiah or savior sent by God to redeem humanity of its sins? What were His teachings? Is our knowledge of Jesus limited to what is recorded in the Bible? What has modern historical research to say about what Jesus did and taught? "What were the original teachings of Jesus, before the Christian religion became organized?" What were likely the actual words of Jesus, quoted in the gospels of Matthew, Mark and Luke, but recorded several decades afterwards. What were likely interpolations - words attributed to Jesus by unknown sources. What was said about Jesus or about His teachings by others, for example, Paul in his "letters," which make up most of the rest of the New Testament, and which served as the basis for early Church dogma. 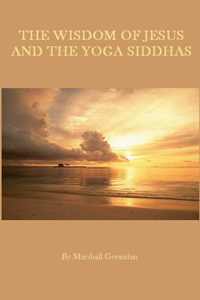 More recently, the research of the Yoga Siddha Research Centre in Chennai, India, has brought out a series of books providing, for the first time, translation and commentary of the Yoga Siddhas, or "perfected" Yogis of India, who were contemporaries of Jesus. Their teachings and miraculous powers were remarkably similar to those of Jesus.